Along with a plethora of bird species and an abundance of land mammals there are many more creatures you can expect to find on your wildlife trip to Namibia. We have listed below just a few of the more commonly found species but this list is by no means exhaustive. Each time we visit we encounter something new...on a Namibia Safari you never know what magnificent animal is around the corner! The dry lands of Namibia boast more than 70 species of snake, including three species of spitting cobra. 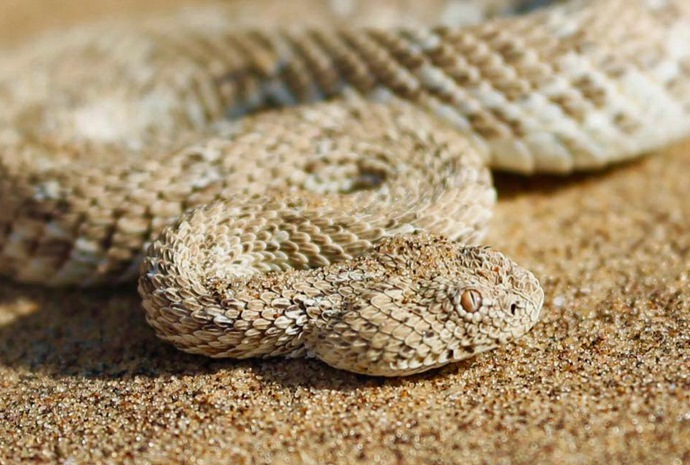 It is actually the African puff adder that causes the most problems for humans, since it inhabits dry, sandy riverbeds. Horned adders and sand snakes inhabit the gravel plains of the Namib, and the sidewinder adder lives in the Namib dune sea. Other venomous snakes include the slender green vine snake; both the green and black mamba; the very dangerous zebra snake; and the boomslang (Afrikaans for ‘tree snake’), a slender 2m aquamarine affair with black-tipped scales. Lizards, too, are ubiquitous. The largest of these is the leguaan or water monitor that reaches over 2m in length. A smaller version, the savanna leguaan, inhabits kopjes (small hills) and drier areas. Also present in large numbers are geckos, chameleons, legless lizards, rock-plated lizards and a host of others. In the watery marshes and rivers of the north of the country is found the Nile crocodile. 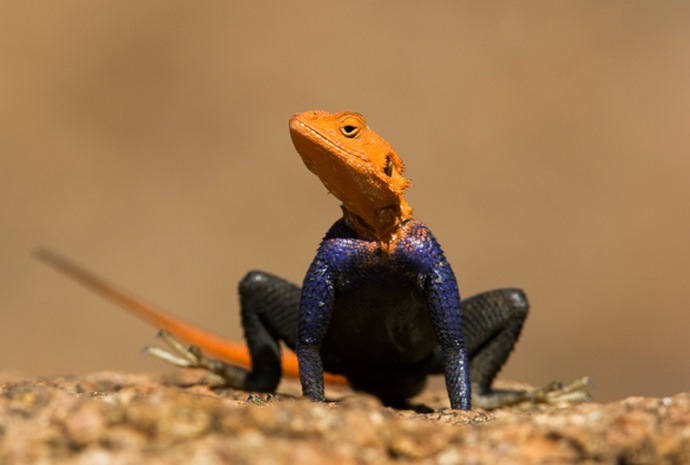 The Namib Desert supports a wide range of lizards, including a large vegetarian species, Angolosaurus skoogi, and the sand-diving lizard, Aprosaura achietae , known for its ‘thermal dance’. The unusual bug-eyed palmato gecko inhabits the high dunes and there’s a species of chameleon. Over 500 species of colourful butterflies – including the African monarch, the commodore and the citrus swallowtail – are resident, as well as many fly-by-night moths. Some of the more interesting buggy types include the large and rarely noticed stick insects, the similarly large (and frighteningly hairy) baboon spider and the ubiquitous and leggy shongololo (millipede), which can be up to 30cm long. 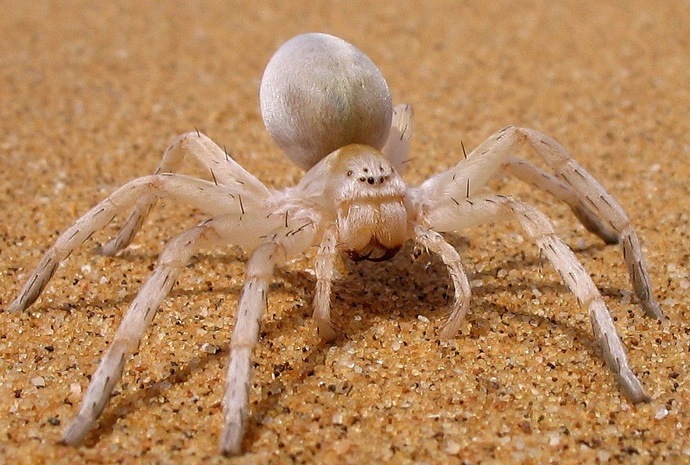 The Namib Desert has several species of spider. The tarantula-like ‘white lady of the dunes’ is a white hairy insect that is attracted to light. There is also a rare false spider known as a solifluge or sun spider. 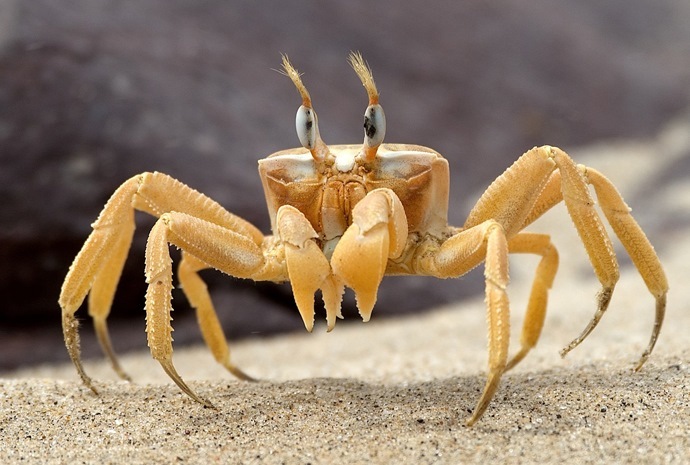 You can see its circulatory system through its light-coloured translucent outer skeleton. The Namib dunes are also known for their extraordinary variety of tenebrionid (known locally as ‘toktokkie’) beetles. There are also common insects such as ants, stink bugs, grasshoppers, mopane worms and locusts.